Known for their intense and poetic collaborative work, composer/saxophonist Ross Feller and choreographer/performer Kora Radella present an evening of new work at Roulette which includes world premiere compositions played by the violin duo String Noise, pianist Adam Tendler, and a saxophone quartet comprised of Johnny Butler, Caroline Davis, Matt Nelson, and Feller. 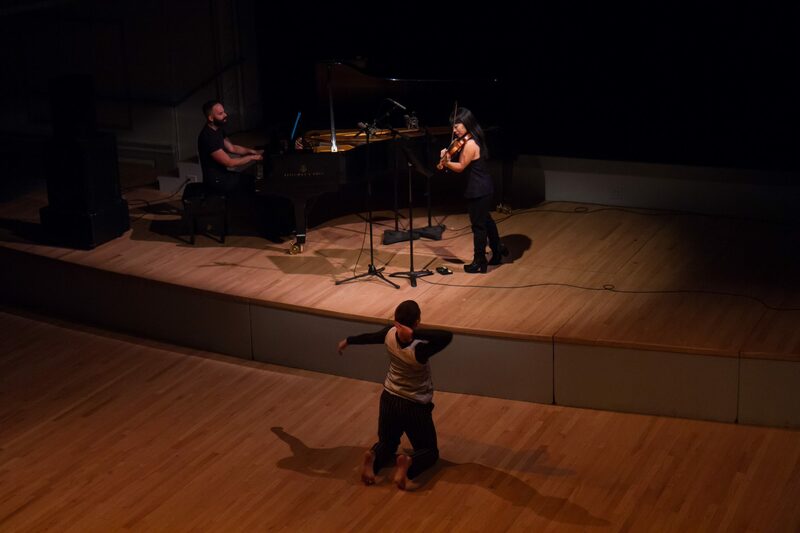 In the same evening of performance, the NYC premieres of the solo Sequinza, danced by Tim Bendernagel, will be met full-force by the duet Force Majeure performed by Pauline Kim Harris of String Noise, and Tendler. 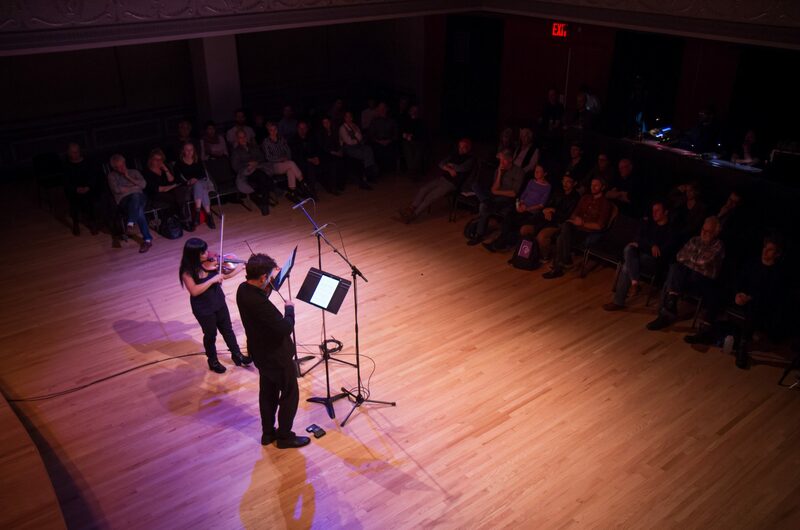 Wrest will be danced by Anna Pinault with an electronic score, and an excerpt of the evening-length tour de force, Reckoning, will be performed in this NYC premiere by Chris Seibert and Radella. The evening will be further brightened by improvisations by the Snow Trio consisting of Nick Didkovsky, Michael Lytle, and Feller. Ross Feller is a composer, saxophonist, improviser, and educator. He has developed a unique musical vocabulary that features raw, ecstatic layers of material that percolate with refined, virtuosic gestures, often integrated with performance gestures. He co-founded the Chicago-based, avant-garde, jazz-rock ensemble Dot Dot Dot, and later, Double-Edge Dance with choreographer Kora Radella. Feller’s awards and honors include the Ohio Arts Council Individual Excellence Award for Composition, ASCAP Young Composer’s Competition, Gaudeamus Foundation International Composer’s Competition, and Bent Frequency’s International Call for Scores. He has received commissions and performances by ensembles including the Oberlin Conservatory Contemporary Music Ensemble, Oberlin Percussion Group, Prism Saxophone Quartet, Aurelia Saxophone Quartet, Goliard Ensemble, Ensemble Luna Nova, International Contemporary Ensemble (ICE), Kenyon College Symphonic Wind Ensemble, members of the Cleveland Orchestra and the Atlanta Symphony Orchestra, and performers such as saxophonist Taimur Sullivan, trumpeters Peter Evans and Stephanie Richards, trombonist Steven Parker, violinist Dorothy Martirano, ‘cellists Franklin Cox and Craig Hultgren, double bassist Michael Cameron, guitarist Nick Didkovsky, and pianists Cory Smythe and Adam Tendler. Feller’s work has been performed throughout the U.S.A. and in Europe. Recordings of his music are available on New Dynamic Records, Athena Records, and UIUC Experimental Music Studios. In 2015 he and fellow saxophonist Frank Mauceri released a collaborative cd entitled Chiasmus. In early 2017 Feller released an album of his solo and ensemble music on Innova Recordings (#911). He is an Associate Professor of Music at Kenyon College, where he teaches composition, theory, and computer music. Kora Radella is a choreographer, movement teacher, performer, and artist. 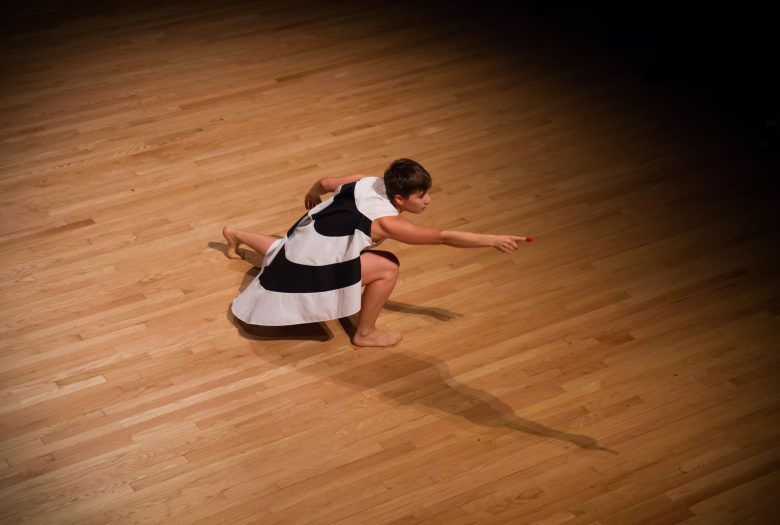 Radella’s choreography, including her work with BOOMERANG and Double-Edge Dance, has been performed in NYC at venues including 92Y, CPR Danspace Project, Dixon Place, Judson Church, Pioneer Works, and Roulette and in other locations nationally including the Museum of Contemporary Art in Chicago, Pulse Art Fair in Miami, Art Prize in Grand Rapids, the Three River Arts Festival in Pittsburgh, and Cleveland Public Theatre and internationally at Berliner Festspiele in Berlin and Arts Arena in Paris at the invitation of renowned theater director Robert Wilson, as well as in Amsterdam, Barcelona, Basel, Brussels, and London. Noted for her use of “awkward grace,” Radella researches being on the edge of control, pushing both physical and psychological balances. She was a recipient of an artist residency at Yaddo in 2016 and at Lake Studios Berlin in 2015, and an Ohio Arts Excellence Award in 2014 and 2018. 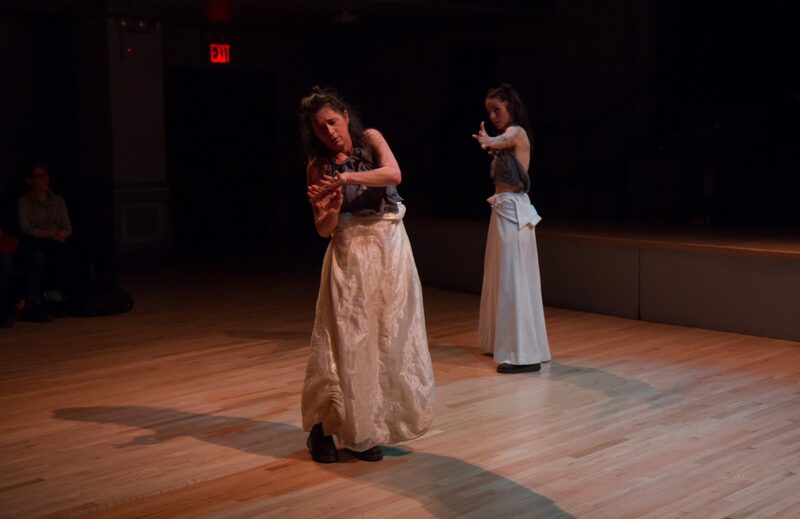 She also was an artist-in-residence with BOOMERANG, a company she co-founded and co-directed, at the Watermill Center in 2016. Radella is a 2019 Bogliasco Fellow. Her primary teaching interests include contemporary dance technique via what she calls “riding resilience,” improvisation, contact improvisation, and composition. 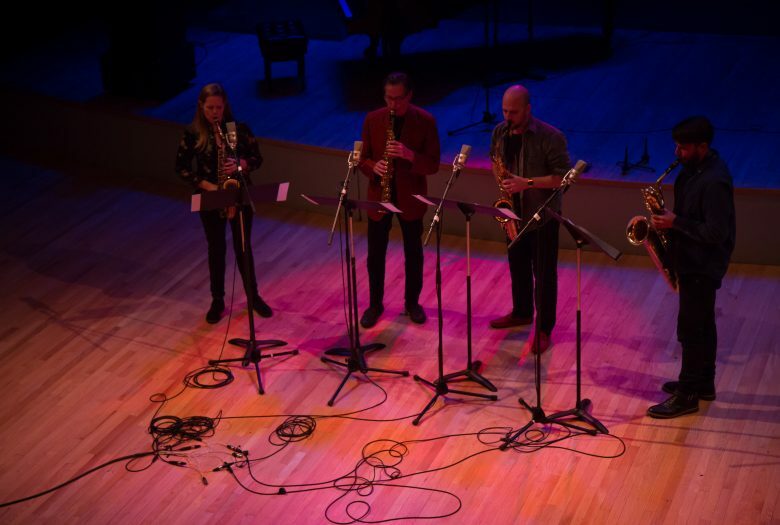 Radella has a long- standing collaborative history with composer/saxophonist Ross Feller and has collaborated with other contemporary musicians such as drummer Greg Saunier, pianist Adam Tendler, and violin duo String Noise. She is also a certified yoga teacher (500RYT). Radella teaches at Kenyon College, creates commissioned works, and offers master classes and workshops. Tim Bendernagel is a recent graduate from The Ohio State University where he earned his BFA from the Department of Dance. While at Ohio State, Tim had the pleasure of working with various choreographers, including Bebe Miller, Ann Sofie Clemmensen, Tine Salling, and Lilianna Kane, among others. 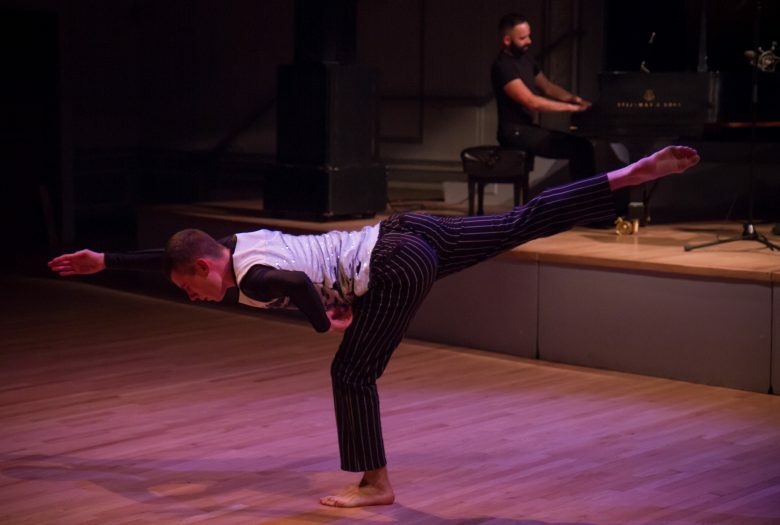 In his third year, Tim performed in works by Merce Cunningham in Leap Before You Look: Black Mountain College 1933-1957 at the Wexner Center for the Arts. He has attended various intensive programs, including Bates Dance Festival, American Dance Festival, and the San Francisco Conservatory of Dance, which have allowed him to work under and learn the repertory of John Jasperse, Lar Lubovitch, William Forsythe, and Ohad Naharin. Born and raised in Brooklyn, Tim has loved returning to the city and pursuing his career as a performing artist. He has been working as a dancer, Community Actionist at Gibney, and a model. Johnny Butler is a saxophonist, composer, and technologist whose music presents a wide panorama of sounds, colors, and movement. It is a bridge between past and present, with a creative legacy that spans decades. His recordings have been acclaimed in Wire and Jazzwise Magazine UK. He’s arranged music for Beyonce on her album 4, and has performed with Santana, Roy Hargrove, Wynton Marsalis, Cedar Walton, and many others. Butler’s second solo saxophone album, Carousel, was voted Best of 2013 by the Jazz Journalists Association. Mobile since her birth in Singapore, composer, saxophonist, and educator Caroline Davis now lives in Brooklyn, New York. After making her mark on the Chicago jazz community during her 8-year stint there, she moved to New York in 2013 and has proven to be an active leader and sidewoman in the national jazz scene. She has shared musical moments with a diverse group of musicians, including Matt Mitchell, Randy Brecker, Greg Saunier, Allison Miller, and many others. In 2012 she was named on of JazzTimes’ Best New Artists in the Expanded Critics’ Poll. Her second album, Doors: Chicago Storylines has been acclaimed in recent issues of Downbeat and JazzTimes. Nick Didkovsky is a guitarist, composer, and music software programmer. He founded the rock band Doctor Nerve in 1983 (www.doctornerve.org), and also is a member of the Fred Frith Guitar Quartet. Other current bands include Vomit Fist and Haessliche Luftmasken. He has composed for Bang On A Can All-Stars, Meridian Arts Ensemble, ETHEL, and others. He has performed with DITHER Guitar Quartet, John Zorn, Billion Dollar Babies, and Blue Coupe. Didkovsky has received commissioning grants from The Mary Flagler Cary Charitable Trust and the Aaron Copland Fund, and was awarded a New York Foundation for the Arts Computer Arts Fellowship to support his work in computer music composition and performance. His Black Sabbath Guitar Lessons on YouTube have been received with great enthusiasm by metal fans all over the world. In 1997 he developed the computer music language JMSL, which he continues to develop and use today (www.algomusic.com). With composer Georg Hajdu, he created MaxScore, an object that uses JMSL to bring music notation to Max/MSP. In 2010, he founded the $100 Guitar Project with Chuck O’Meara. His Punos Music record label serves up his more extreme musical projects. 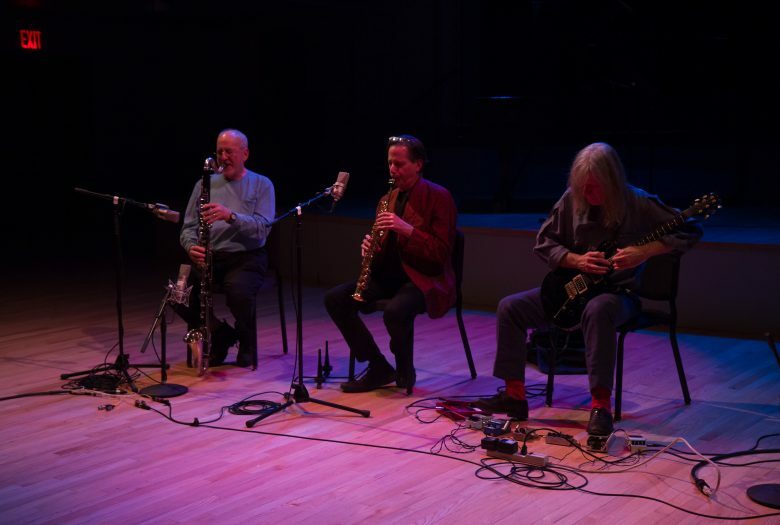 Michael Lytle (aka elewhale) has been a new music improviser since 1968. 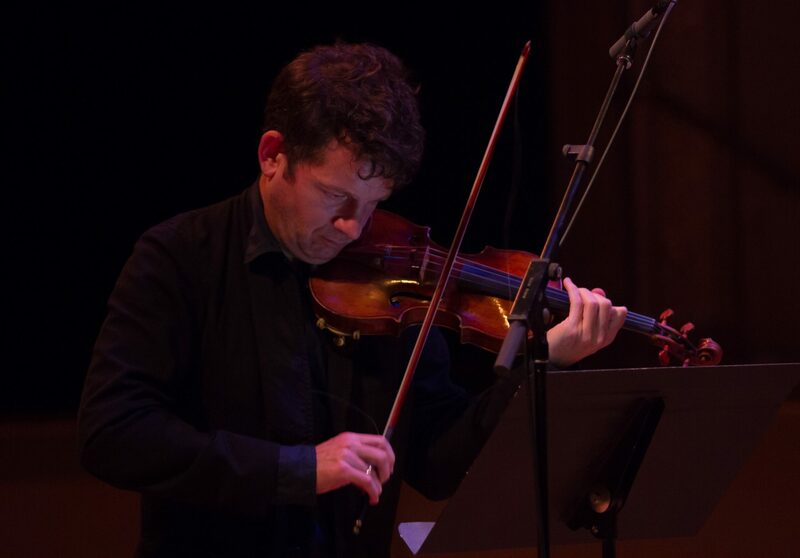 He has performed with William Parsons, David Moss, John Zorn, Nick Didkovsky, George Cartwright, Garrett List, Robert Black, Denman Maroney, Kyoko Kitamura, Kathleen Supove, Weasel Walter Hans Burgener, Gerry Hemingway, Mark Dresser, Martin Schutz, Eyal Maoz, Mari Kimura, Stephanie Griffin, Hans Tammen, Doctor Nerve, Swim This, and many others. He has been involved in over 30 recordings since the 5* rated Iowa Ear Music of 1976. An early electronic music composer, Lytle invented a set of totally unique methods of clarinet family sonic modulation and performance, called the “most radical of his generation” by Joachim Berendt. Saxophonist Matt Nelson regularly performs in a far-reaching, motley assortment of musical projects. Described as “one of the more unpredictable virtuosos in New York’s underground” by Pitchfork, and “genre-bending” by Tiny Mix Tapes, his output often lies in the gray corners beyond categorization. In 2010 Matt relocated to Brooklyn, New York. Since then he has performed and toured as a member of Battle Trance, GRID, Elder Ones, Premature Burial, Skeletons, and the Weasel Walter Large Ensemble. Matt also performs as a solo act, where he often utilizes electronics and amplified feedback along with the saxophone, as heard on his record Lower Bottoms. Chris Seibert is an actor, writer, and director who creates original performance works in collaboration with professional and community artists. She is the co-creator of the solo performances Fa(r)ther and Split; the plays F*** Me Love Me Aphrodite, Ancestra, and Insomnia; and the multimedia solo performance Cut to Pieces. Recent work includes collaborations with choreographer Kora Radella, painter John Carlson, and experimental filmmaker Robert Banks. She is in the fall 2018’s Cleveland Play House’s production of Sweat. Her work has garnered her recognition and support from the Ohio Arts Council, Chesterfield Writer’s Film Project (LA), Chicago C.A.A.P., and DirectorsLabChicago. Chris is a recipient of the Creative Workforce Fellowship, a program of the Community Partnership for Arts and Culture funded by Cuyahoga Arts and Culture. For over 15 years, Chris was a core artist on staff at Cleveland Public Theatre, where she served as Director of Education, director of Women’s Voices, and director of the Student Theatre Enrichment Program STEP internationally recognized theatre arts and job training program for low-income teens. At CPT, Chris facilitated the creation of original performances by immigrant and refugee teens, children in public housing, and homeless men and women in recovery from drug/alcohol addiction and mental health challenges. 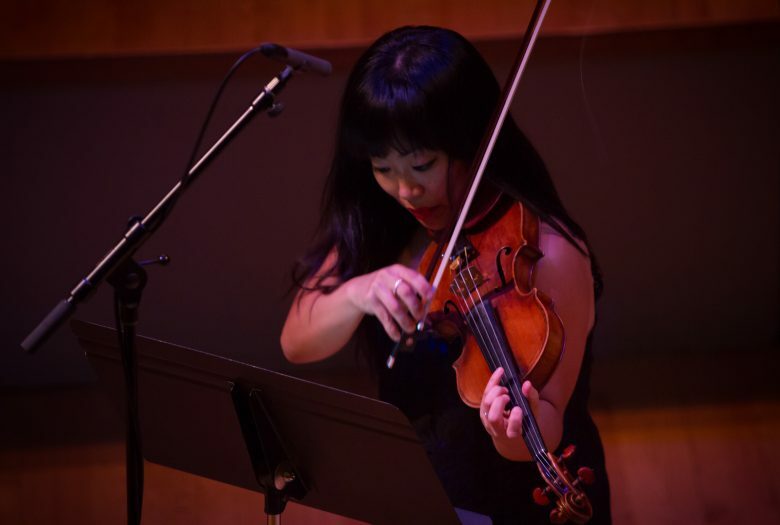 String Noise is a classical, avant-punk violin duo comprised of violinists Conrad Harris and Pauline Kim Harris. Since its inception in 2011 at Ostrava New Music Days, they have expanded the two violin repertoire in over 50 new works to include larger collaborations with multimedia art, electronics, video projections, opera, and dance. Their first feature album “The Book of Strange Positions” was released on NORTHERN SPY RECORDS in November 2015. Tiny Mix Tapes describes this collection of original works and arrangements by EricLyon of punk covers by Bad Brains, Violent Femmes, Deerhoof, Radiohead, and Black Flag as a “mix of classic punk covers and ZERO APOLOGIES.” Their 7” inch EP “Covers” produced by Deerhoof drummer and composer Greg Saunier is also available on Northern Spy Records. Premieres by String Noise include works by Christian Wolff, John King, Phil Niblock, Caleb Burhans, David Lang, Petr Kotik, Du Yun, Annie Gosfield, Bernhard Lang, Spencer Topel, Derek Hurst, Jerome Begin, Elizabeth Hoffman, John Zorn, Greg Saunier, Alex Mincek, Yoon-Ji Lee, Catherine Lamb, Petr Bakla, Richard Carrick and Alvin Lucier, to name some. Co-concertmasters of Wordless Music Orchestra, Ensemble LPR and the S.E.M. Ensemble, String Noise has collaborated in special projects with artists such as Jonny Greenwood (Radiohead), John Cale (Velvet Underground), Tyondai Braxton, Billy Martin (Martin, Medeski, Wood), Mica Levi (Micachu and the Shapes), Jon Brion, Laurie Anderson, Jason Moran, Roscoe Mitchell, Max Richter and and Rostam (Vampire Weekend). Kora Radella was awarded an Ohio Arts Council Individual Excellence Award forFY 2018. 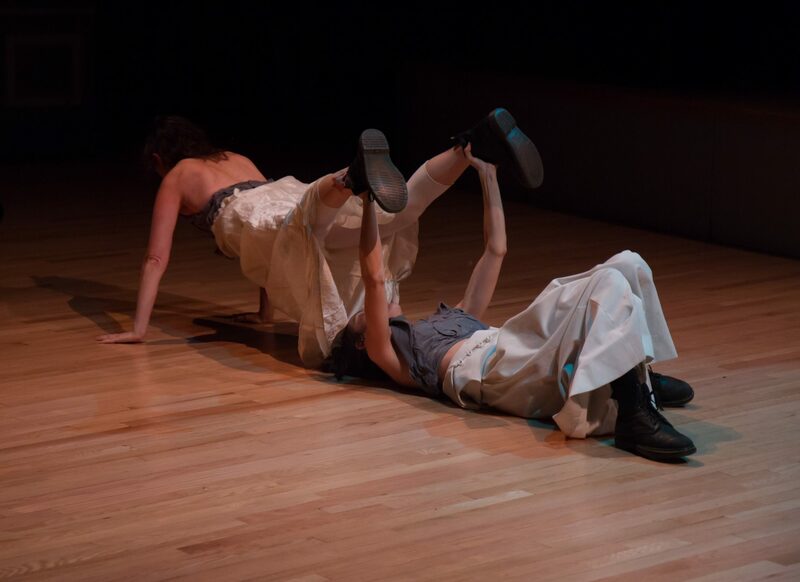 Reckoning: Music and Motion is presented as part of DANCEROULETTE and is supported, in part, by the Mertz Gilmore Foundation, the Harkness Foundation for Dance, the National Endowment for the Arts, and the New York City Department of Cultural Affairs.